This was one of the projects we did at the stamp camp I held this week. Isn’t it so cute? And it was really easy to do. 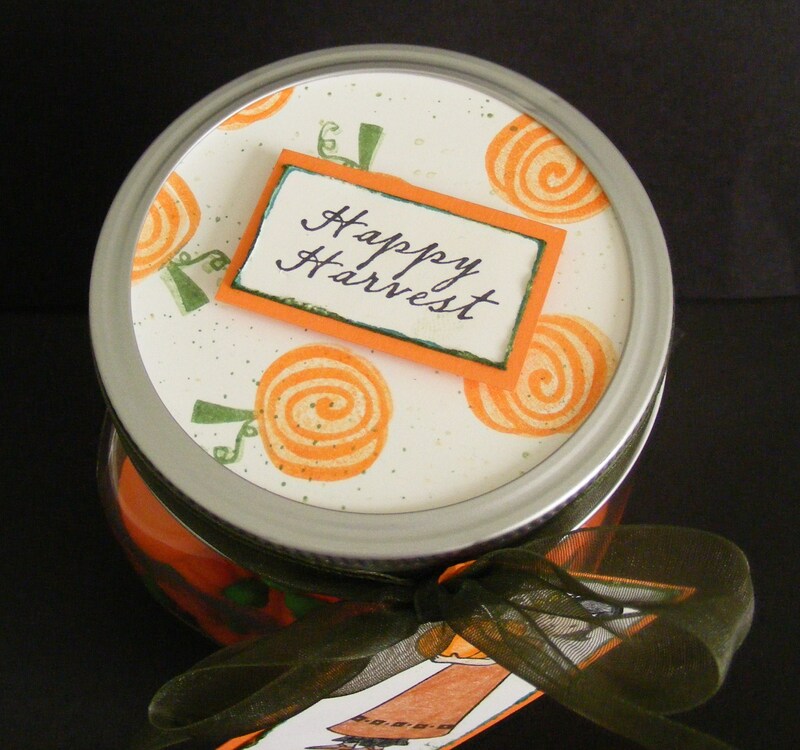 I cut a circle using my Coluzzle to make the lid insert and stamped it with the pumpkins from the set Fall Fun from The Angel Company’s Fall Supplement. I used the little girl from the same set to make the tag. I stamped her with Noir Palette Ink and colored her in with colored pencils. 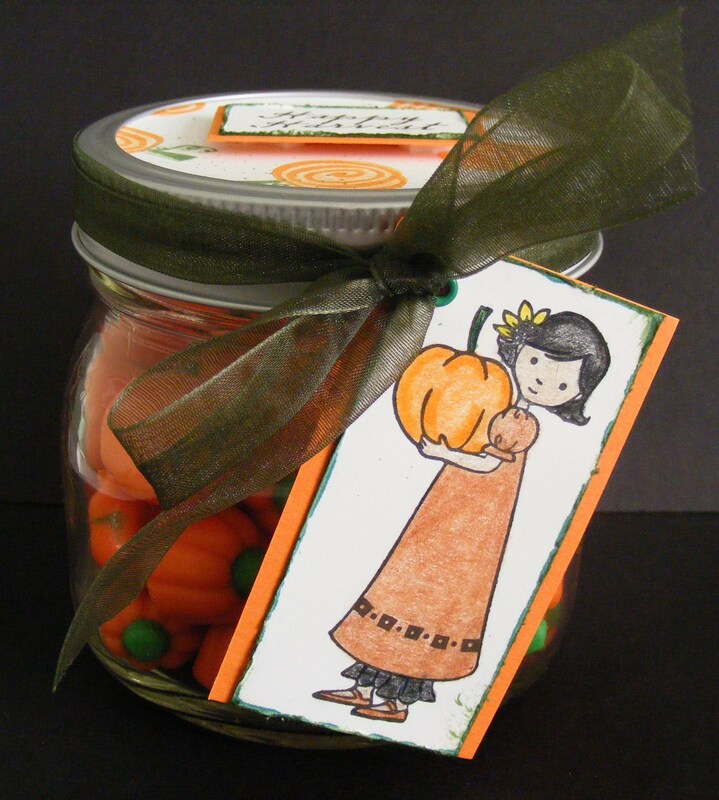 I love these “modernized” platinum canning jars. You can fill them with anything. I use several just to store embellishments in my work area. 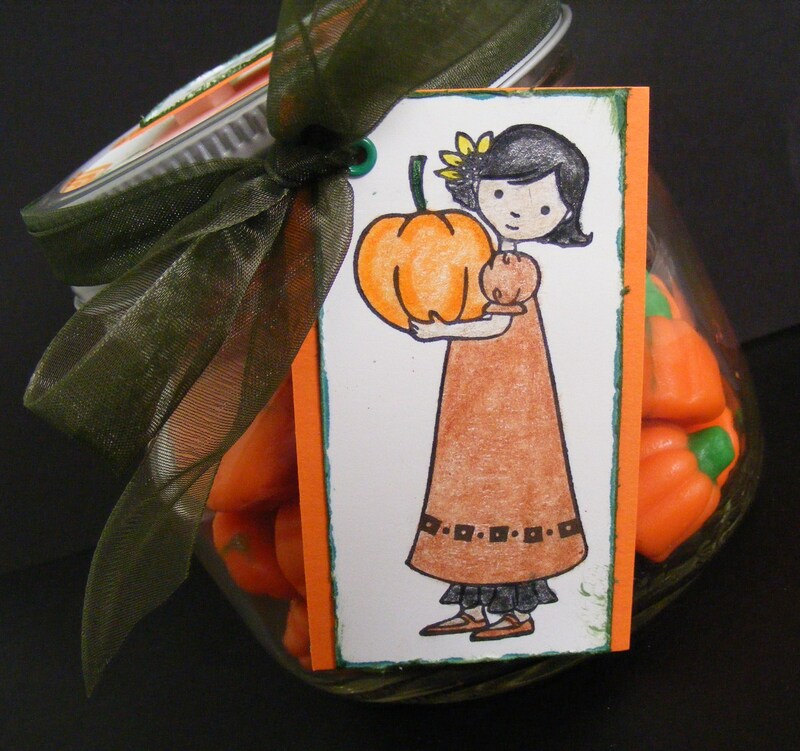 This entry was posted in Rubber Stamped Items, Treat Bags and Boxes and tagged Candy Corn, Candy Pumpkins, Halloween, rubber stamping, treat container. Bookmark the permalink.